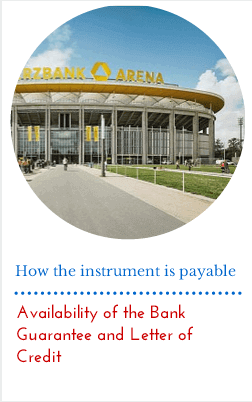 Home Bank Guarantees What are the Differences Between Bank Guarantees and Letters of Credit? 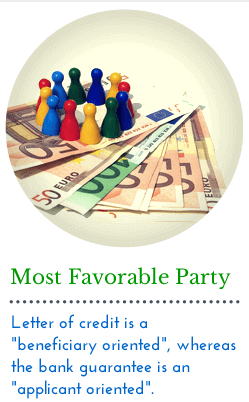 Major differences exist between letters of credit and bank guarantees. This article explain the main differences between L/Cs and BGs. Demand guarantee is an irrevocable undertaking issued by a bank according to instructions received from the principal, to pay the beneficiary any sum that may be demanded by that beneficiary up to a maximum amount specified in the guarantee, upon presentation of complying demand with the terms of the bank guarantee. 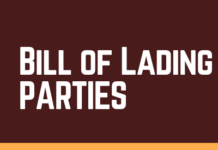 Commercial letter of credit, which is used in international export and import transactions, is also an irrevocable and definite undertaking of the issuing bank to honour a complying presentation. Although these two trade finance instruments share almost identical definitions, there are major differences exist between letters of credit and bank guarantees. Today I explain the main differences between letters of credit (L/Cs) and bank guarantees (BGs). One of the main differences between a bank guarantee and commercial a commercial letter of credit is the means of payment. Under a commercial letter of credit, the beneficiary gets the payment when he completes his duties and makes a complying presentation. 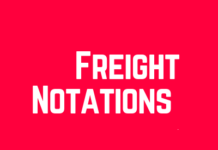 For example, the exporter, who is the beneficiary of a commercial letter of credit, will be getting paid only after he ships the goods to the importer and makes a complying presentation to the issuing bank or confirming bank as per letter of credit terms and conditions. Contrary to the commercial letter of credit, under a bank guarantee, the beneficiary will be entitled to claim a payment from the guarantor bank only if the applicant defaults on his duties at the underlying contract, which was established between the beneficiary and applicant before the the bank guarantee has been issued. 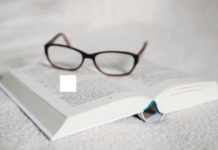 Bank guarantee is a secondary payment option and can be activated only at unexpected situations, in particular where applicants could not fulfill their contractual obligations. Commercial letter of credit is a primary payment option and is expected to be utilized by the beneficiary upon completion of his contractual obligations. Payment under a bank guarantee is an unusual case, whereas payment under a commercial letter of credit is an ordinary act. 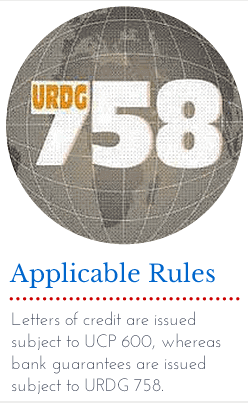 Commercial letters of credit are mostly issued subject to UCP 600, whereas bank guarantees are usually issued subject to URDG 758. UCP 600 are the set of rules, which are prepared by ICC Banking Commission, that apply to commercial letters of credit and standby letters of credit to the extent to which they may be applicable. URDG 758 are the latest version rules that apply to demand guarantees and counter-guarantees. The commercial letter of credit is a “beneficiary oriented” trade finance tool, whereas the bank guarantee is an “applicant oriented” trade finance facility. Beneficiary oriented trade finance tool means that the letter of credit mostly protects the interests of the beneficiary of the letter of credit, whom in most cases is the exporter. 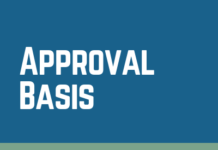 Applicant oriented trade finance tool means that, comparing to the commercial letter of credit, the bank guarantee tends to favor the interests of the applicant, whom in most cases is the importer. This distinction between the letter of credit and bank guarantee becomes more important when the case goes to the court. In letter of credit terminology, availability refers to the availability of the documents in exchange for the payment of the amount stated in the letter of credit. Commercial letters of credit could be issued available by payment, deferred payment, acceptance or negotiation. On the other hand bank guarantees could be issued only by payment. 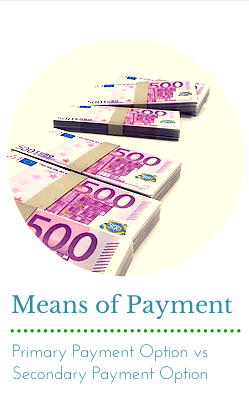 It is also not possible to negotiate a bank guarantee, however letter of credit rules allow for a negotiation. Letter of credit rules allow for a confirmation as a result we can talk about a confirmed letter of credit. 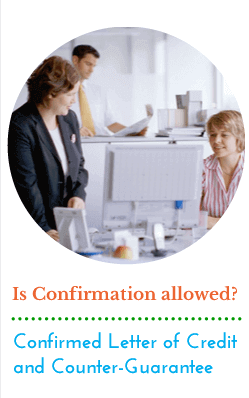 On the contrary, bank guarantee rules do not allow for a confirmation. Because of this reason counter-guarantee mechanism has been created under bank guarantee transactions. Previous articleWhat is a Counter-Guarantee? Next articleIs It Possible to Confirm a Bank Guarantee?